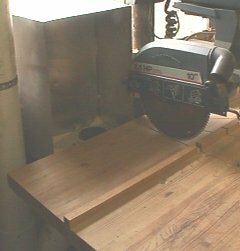 Floor sweep for woodworking shop 4 inch dust collection system. To be used with blast gate. Made with simple angles, 1/2 plywood, and 4 inch sewer and drain rated thin wall PVC pipe. 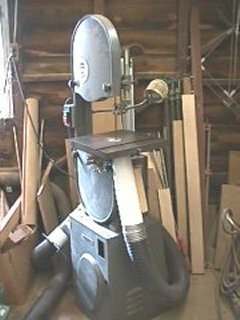 The radial arm saw ... you either hate 'em or love 'em. No one can argue that they are difficult to connect to a dust collection system. But you can get 90% or more of the dust with a very simple box collector. This page describes how I did it.